"The information on this website does not constitute legal advice." Documents referenced in the answers below in BOLD see the Reference Library. What are the documents that outline the governance of The Pennsylvania State University and how can they be amended? Are current or former employees of The Pennsylvania State University permitted to be members of the Board of Trustees (BoT) and are former members of the Board of Trustees (BoT) permitted to be hired as employees of The Pennsylvania State University? What are the safeguards for insuring a proper counting of votes in the Board of Trustee (BoT) election and, specifically, is it proper for the Board to appoint two of its own members to count the votes? 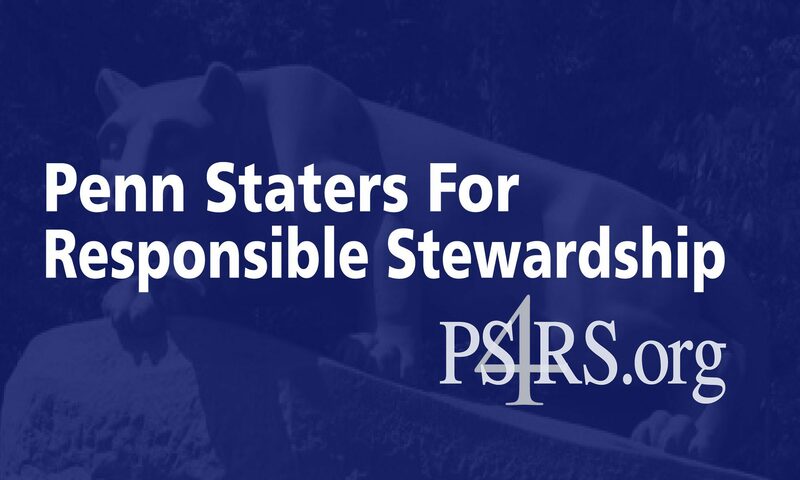 The Penn State Board of Trustees (BoT) are governed by a Corporate Charter and by Corporate Bylaws, and are required to comply with applicable Pennsylvania state laws. In addition, the BoT has adopted certain internal operating rules which are simply rules created by the BoT for the operation of the University. The Pennsylvania State University, then known as the “Farmers’ High School of Pennsylvania” was incorporate by an Act of the Pennsylvania state legislature on February 22, 1855. The Corporate Charter of The Pennsylvania State University is a compilation of the Act of the state legislature incorporating it and various decrees from the Court of Common Pleas of Centre County. There have been very few changes to the Corporate Charter of Penn State since 1855, and only one in the last 50 years. There is little information available about the process for amendment of the Corporate Charter. One way to, effectively, amend the Corporate Charter is through legislative efforts. The University is an entity formed by legislative act and, as such, its Charter can be amended legislatively. However, to date, the only changes to the Corporate Charter have been performed through proceedings launched in the Court of Common Pleas of Centre County. Neither the Corporate Charter nor any other available document from The Pennsylvania State University Openness website provide guidance or information regarding these proceedings. Attempts to obtain answers and information from The Pennsylvania State University have proven unsuccessful. The PS4RS Legal and Regulatory Task Force will continue to research this issue and obtain documents of the earlier proceedings undertaken to alter the Corporate Charter through a review of documents contained in the files at the Court of Common Pleas of Centre County. The Corporate Charter provides that the BoT shall have the power to enact bylaws, ordinances, and rule for the operation of the University. The BoT has adopted Corporate Bylaws for The Pennsylvania State University. The bylaws outline the meetings of the board, qualifications for membership on the BoT, explanation of officers and their duties, identification of committees, and conflicts of interest, among other things. In order to amend the Corporate Bylaws, all that is required is a two-thirds (2/3) vote of those members present at any meeting of the BoT (not a 2/3 vote of all members), as long as written notice and a copy of the proposed amendment was provided in the call of the meeting or at a preceding meeting. The bylaws specifically provide that 13 of 32 members shall constitute a “quorum” for the official transaction of business. Thus, in order for a “meeting” to occur, there must be at least 13 of 32 members of the BoT present which represents less than 50% of the voting members. It should be noted that the Corporate Charter and by Corporate Bylaws do not permit the use of proxies at a meeting. The above questions have arisen with respect to the employment of Dr. David Joyner and Cynthia Baldwin by The Pennsylvania State University after their terms as members of the BoT, and in connection with the candidacy of Mr. Adam Taliaferro for the BoT. The Corporate Bylaws provide as follows: “A person shall not be eligible to serve as a member of the Board of Trustees for a period of three (3) year from the July 1 coincident with or next following the date of last employment in any capacity with the University.” Thus, an employee of the University is ineligible to serve on the BoT while employed by the University and for a period of three years following the termination of employment. This issue has arisen specifically with respect to the candidacy of Mr. Adam Taliaferro for the BoT. Mr. Taliaferro is an attorney with the law firm of Duane Morris. His law firm has been, and is currently, engaged by the University to perform legal services on its behalf. While Mr. Taliaferro is not an “employee” of The Pennsylvania State University (i.e., his wages are paid to him by Duane Morris), there is a serious question as to the effect of the above language on his ability to serve as a member of the BoT. Taliaferro] as an employee?” If it does not get imputed to him, he would be cleared to run. If it does get imputed to him, he would be precluded from serving on the BoT. Much would play in to this analysis, including how the BoT has interpreted this issue in the past (if they have). The bigger concern is that if Mr. Taliaferro is elected, the BoT could challenge his election on this basis and, potentially, preclude him from serving. There is no such restriction, however, on a member of the BoT moving from the BoT to the University. Thus, a person who is a member of the BoT on December 1 can resign his or her position with the BoT and accept employment with the University on December 2. This rule is, in the view of the PS4RS Legal and Regulatory Task Force, terribly flawed. Given that anyone employed in any capacity with the University is barred from serving on the BoT for a period of 3 years following termination of that relationship, there is no justification whatsoever for permitting member of the BoT to move immediately to a paid position with the University. This is what occurred with Dr. David Joyner. Dr. Joyner was an elected member of the BoT, who resigned his position on the BoT to immediately accept a high level paid position within the University. Despite the potential for, and appearance of, impropriety, the current governance documents permit such actions yet very possibly preclude an otherwise qualified candidate such as Mr. Taliaferro (or any other retired employee or faculty member) from being eligible for serve for 3 years. The election process is governed by the Corporate Charter and, under the terms of the Corporate Charter, the appointment of 2 members of the BoT to count the votes is appropriate, though there is nothing contained therein that restricts or in any way limits the BoT from utilizing an independent outside firm to assure accuracy in the vote counting. Thus, it is not improper for the BoT to appoint 2 members to count the votes, though this yet another provision within the Corporate Charter that simply does not make sense in 2012 � the provision has remained unchanged since 1855, at which time 2 members of the BoT could be responsible for accurate counting of the votes. However, there is nothing to preclude the BoT from employing the services of an outside firm to audit the election and insure the accuracy of the votes. Such a procedure is standard in many circumstances, represents a reasonable business practice, and would remove any appearance of impropriety.